Pacific Crest will be performing in the Rose Parade on January 1, 2019, in Pasadena. The organization will be representing the city of Diamond Bar and the entire Southern California region. “From its humble beginnings in 1993, starting with only 33 members, Pacific Crest established itself as an organization dedicated to performance excellence and youth development,” said Mark Kveton, former Pacific Crest drum major and current Student Leadership Instructor. In the last 25 years, Pacific Crest has performed in world-class venues such as the Orange County Performing Arts Center, Rose Bowl, and Hollywood Bowl, and has appeared in cinema broadcasts, television shows and commercials. As a member of Drum Corps International (DCI), Pacific Crest competed successfully as a Division II corps for many years, and was promoted to Division I, now known as World Class, in 2002. 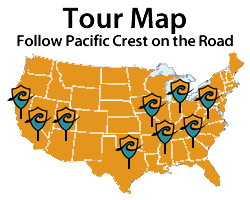 The next year, Pacific Crest would travel to compete for the first time in DCI World Championships, and would finish as a semifinalist. 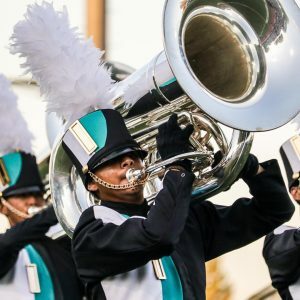 “Since Pacific Crest will be celebrating its 25th Anniversary in 2018, this is a wonderful way to start the New Year for its members and alumni by marching in the 2019 Rose Parade,” said President of the Pacific Crest Board of Directors, Ron Clark. Approximately 200 Pacific Crest members will be marching in the parade, including some alumni who will be offered the opportunity to participate. The Rose Parade is hosted by The Pasadena Tournament of Roses, a volunteer organization, with about 700,000 people in attendance and 45.5 million viewers across the United States.